And what, prey tell, is wrong with that?! When did it become a bad thing for a woman to like what she sees in her reflection? I have noticed that it tends to be other women who make this statement. As a matter of fact, I’ve never heard a dude utter those words in my entire life. 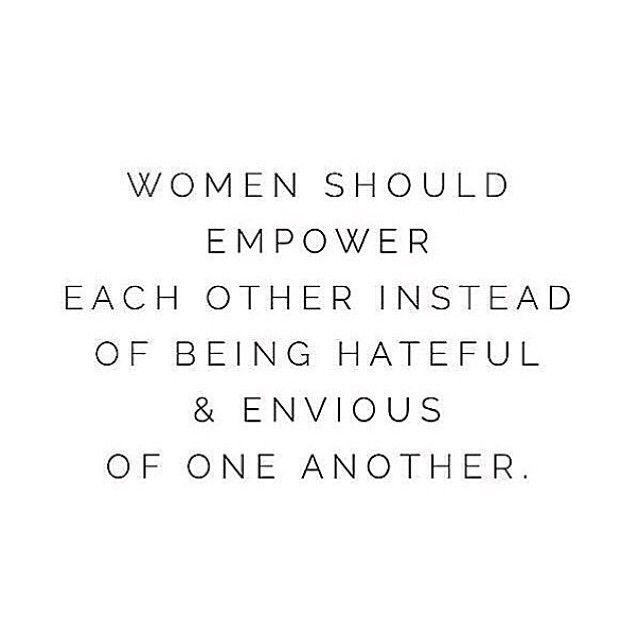 So, ladies, why would we express such hostility towards another woman simply because she feels good in her skin? Not one of those qualities is very becoming. Regardless of the reason behind it, there is no justifiable reason to say something so harsh about anyone. So what if “she” thinks she’s pretty? Does her confidence affect you negatively in some way? Would you prefer she knit pick every feature or that she balk at what she sees in the mirror? Would it make you feel better if she thought she was hideous and undesirable, unworthy of anyone’s attention? Even if her confidence errs on the side of conceit, that’s her issue to resolve, not ours to judge. I can remember being a teenager and having thought this about a girl or two and I know it was pure jealousy on my part. I’d catch my latest crush looking their way and rather than appreciate the beauty he saw, I’d feel angry that it wasn’t directed at me. Now when I see an attractive woman, I will point her out to whomever I’m with, even my husband. I’m not trying to trick him into complimenting another woman so I can pout about how he must not think I’m good enough, (yes, that was me in my younger years), I am simply in awe of how uniquely beautiful we all are and want others to recognize it too. Sister-friends, we can all be beautiful, it’s not a contest where only one girl wins. Remember that more times than not, the beauty people see in us is at least partially based on that which comes from within us. Don’t let that image be tainted by belittling someone who is confidant in who they are. Love yourself. And love that woman who thinks she’s so pretty….because she is, and so are you. In spite of my hesitancy to do the run thing today, I ventured out. About midway in, this adorable Pom-husky decides to join me. He was a persistent little booger & wouldn’t stop so I finally checked his collar; address and number so kudos to the owners. Seeing as I was solo and people are crazy these days, I opted to call rather than go knock on the door. She apologized profusely & explained she had a digger on her hands. Houdini had escaped the fence. She agreed to stand outside and watch while I ran back towards where the fuzz ball had joined me. Out of nowhere, the biggest Pit I’ve ever seen came barreling out of a garage. I employed every trick I knew to stop this giant but he was fixated on getting to the little one. I think he was friendly and only wanted a sniff BUT little pooch was terrified and decided I was his best chance at survival. Pom went into defense mode, barking & snipping which agitated Mr. Pit. Meanwhile I’m acting as a human shield, screaming frantically in the middle of the street. I’m not gonna lie y’all, I may have let a word slip. I had enough sense to repent and beg the Lord to spare me and my new found friend. Seriously folks, if you’ve never been caught between two circling dogs, let me tell you, it’s terrifying and I consider myself a dog person! Finally a tiny little woman comes out of a neighboring house asking if I’m ok and I quickly explained the situation. Tiny dog owner comes out a few houses down and freaks when she sees her doggie in danger. Pom makes a mad dash for its momma and the Pit follows, thankfully both of them unharmed. As soon as they were out of my line of vision, I thanked the kind stranger for making sure I didn’t die and bolted! I rang my mom and had her stay on the phone while I ran until I felt I’d placed a safe distance between me and the horse. The moral of this random story, be a responsible pet owner!!! If I had taken my overprotective Kansas with me, which I nearly did, this whole scenario would have unfolded differently. Also, it isn’t wise to swear when you could totally use the Lord on your side! A little side note for you, Pit owner never came out. Hey you, with your finger hovering over “post,” can what you’re about to share be perceived as malicious, either by means of direct attack or passive-aggressively? Think about that, would you please, before you blurt out something you can never take back. Social media has made it far to easy to be a cowardly bully. Everyday I see at least one post that is obviously meant to make someone or some group feel bad about themselves. Granted, I have several friends who are already combatting this trend by posting encouraging words every time they are online, but the problem is still prevalent. What does one have to gain from being mean-spirited and hate-filled? What good can possibly come from slandering someone publicly with no consideration for who else could be affected by your rant? Does it invoke a feeling of power to seek one’s own revenge? Does it make you feel better about yourself to know that someone feels miserable about themselves at your hands? I would venture to say that for the most part, when given these points some consideration, you would think twice before you rapid-fire posted in the midst of your anger or frustration. Imagine yourself today with a literal pause button. Before you speak, with your mouth OR your hands, give yourself a moment to think so that you can respond with grace rather than vengeance. Friends, I know it’s hard. I’ve been there, too, hurt & betrayed and desperate for someone to come alongside me and validate my anger. While it may make us feel better in the short-term, it will likely make us feel that much worse once the dust settles and we realize that how we reacted was no better than the original offense. 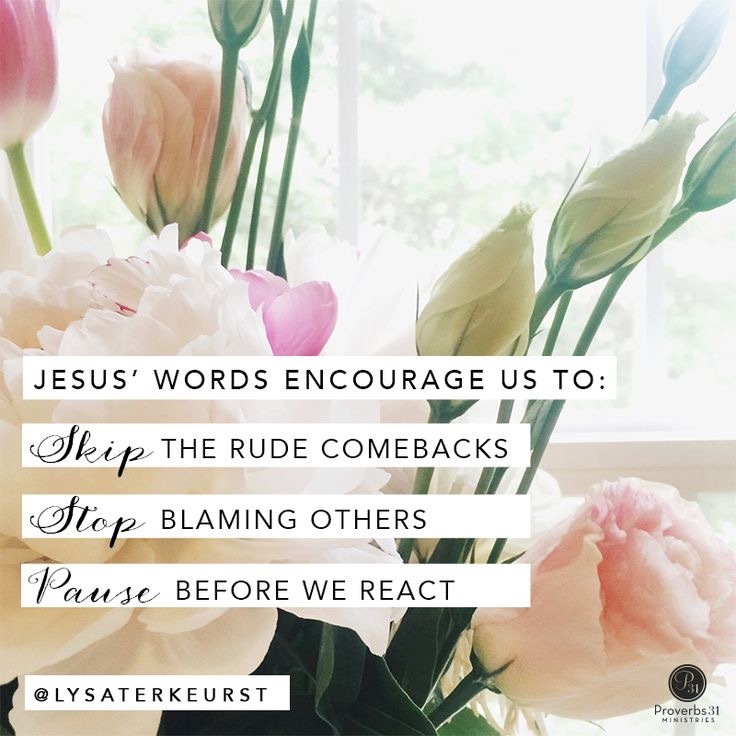 Let’s just agree to make the effort, one day at a time, to choose our words carefully. And when we mess up, know that there is forgiveness and grace to try again tomorrow. I went to bed last night with the windows wide open, thanks to the lovely Spring weather we’re having. This morning I was awakened by a chorus of birds just chatting away. I’m laying here now, listening to all of the varying chirps, too many to count, and each one as beautiful as the one before. All of these little birdies with their own unique voice, singing their own tunes and yet they harmonize flawlessly. They’re not the same size or color, they don’t all live in the same type of nest, and yet here they are, singing their hearts out, together, making the loveliest music. Maybe we could all learn a little lesson from the birds. We may not look alike, sound the same, be similar in size, skin tone or ethnic background. 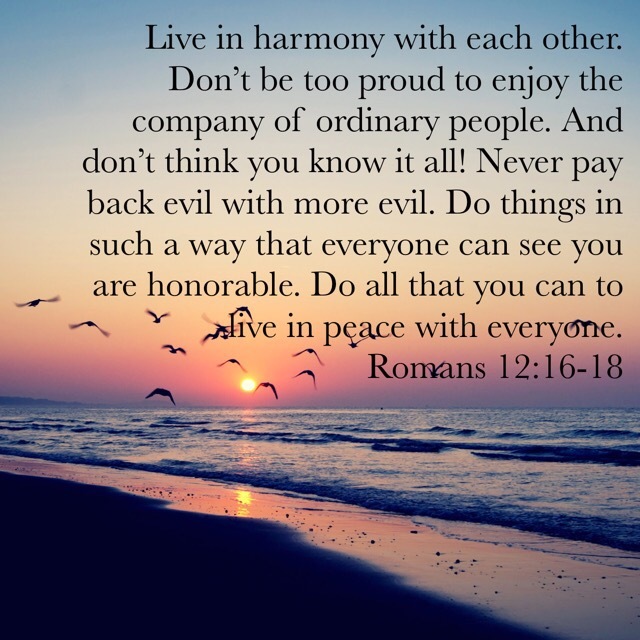 We may live different lifestyles, have opposing beliefs or wildly different upbringings, but does that have to mean we can’t all sing our songs in harmony? Diversity is a wonderful gift that we should use to learn from one another rather than use to sow discord among our peers. While we may be different in numerous ways, we are all apart of the human race, in this life together, don’t you think we should act like it?